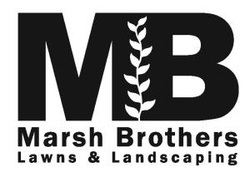 Marsh Brothers is always looking for hardworking individuals to join our team. Please send us an email at marshbrothersjobs@gmail.com with an updated resume and references to be considered. We recruit positive individuals who are willing to work hard each and every day. We are currently in need of crew members who have experience driving (or are willing to learn) a Ford F250 with a 20 foot trailer in tow. Clean driving records are a must. Employees must be willing and able to lift heavy objects (up to 150 pounds), and be able to tolerate hot North Carolina summers. All employees must pass a background check upon the start of employment. Marsh Brothers is always looking for positive, high energy individuals who are willing to work hard each and every day. Experience in the lawn care industry is not a must, but is highly recommended. Employees must be willing and able to lift heavy objects (up to 150 pounds), and be able to tolerate hot North Carolina summers. All employees must pass a background check upon the start of employment. Please note: All employees must be legal US citizens at least 18 years of age. Employees are subject to drug testing at any time.